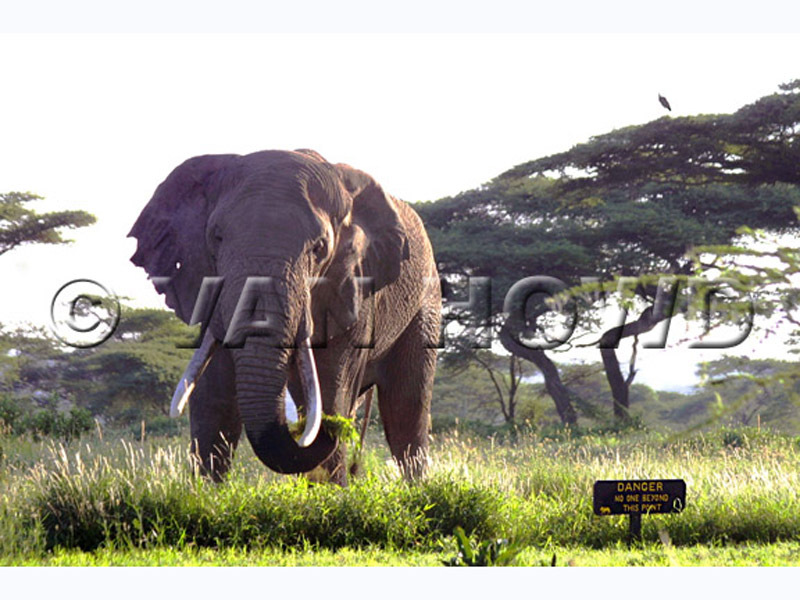 Lutu was a great elephant we had the fortune to see at Ndutu on year. As if he could read, he walked up beside the danger sign and proceeded to graze. Ten days later, we were back at Ndutu hoping to get another glimpse of him, but were met by the managers at the door in tears as they shared that Lutu had been found dead a few days earlier. 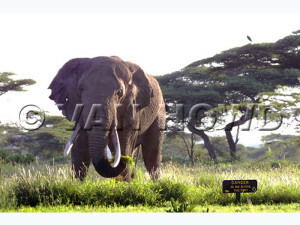 They came to the conclusion that he and another elephant must have had a confrontation over territory, and Lutu lost. We knew him by the hole in his right ear.